1ST ONLINE BUSINESS SCHOOL That PAYS! 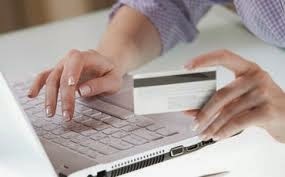 : ONLINE ATM CARD PAYMENT NOW ACCEPTED! ONLINE ATM CARD PAYMENT NOW ACCEPTED FOR INSTANT MEMBERSHIP ACTIVATION! In a bid to help members across the country fast tract their team building activities, management is excited to announce some incredible technical changes on our sites. Secured WEBPAY Option. We are pleased to announced to members and leaders that WEBPay payment option is NOW available for use … This will help fast tract your team building efforts as new members can make instant payment and activation via Mastercard, Visacard, Verve, etranzact, voguepay, quickteller, etc. Now you can help new members in your team REGISTER and ACTIVATE their membership instantly and automatically via use of ATM debit cards. So No more endless queues, long travel to the bank, etc . However, please be informed that an additional N100 Online Transfer Charge will be incurred by all users of this payment option to the service provider. The Knowledge & Cash is not just a business, it is a REVOLUTION! We are passionately committed to raising a generation of successful business owners and role who will live their dreams.